The Earth’s natural resources are being depleted on a massive scale to meet the needs of our growing world population. We see the effects of this in all areas of our air, water, and earth. Consumption of paper products is driving the rapid deforestation of our forests, often resulting in damage to the land preventing new replacement growth. Experts predict that the world’s rain forests could completely vanish in 100 years at the current rate of deforestation. And our landfills continue to grow as our waste grows. In fact, each day the United States throws away enough trash to fill 63,000 garbage trucks. In the 1990’s, public awareness about natural resource depletion began to unfold. Groups began to rally around specific environmental concerns. Eco-friendly movements were implemented to slow the use of non-replenishable natural resources, and to reduce the resulting waste by moving to sustainable, compostable products. Over time, these groups grew, merged, and gained the ability to reach more people and influence local, state, and national laws. Polystyrene foam (generic for Styrofoam) has long been popular material for food and beverage containers, but research shows polystyrene foam to be hazardous to our environment in multiple ways. Polystyrene is non-biodegradable and remains for years in our landfills, floats in our streams and waterways, and clutters our parks and natural habitats. In 1986, the EPA identified 57 chemical byproducts that were released into the air through the production and use of polystyrene, and many of the pollutants are known to cause serious health effects. When used to store or heat food, polystyrene leaches the possible human carcinogen styrene into the foods. In an effort to protect our health and reduce waste in our environment, over 100 cities and counties in the U.S. have banned the use of polystyrene for food packaging. Total Packaging Solutions is committed to eliminating the use of polystyrene for food and product packaging. The products we supply come from renewable plant resources, are safe for food use, and are BPA certified to be 100% biodegradable and compostable. “Eco-friendly” or “Environmentally friendly” means the product pose no harmful effects on the environment or its inhabitants. This includes the methods used to manufacture these products. Everyone can participate in the eco-friendly movement by simply choosing environmentally friendly products. 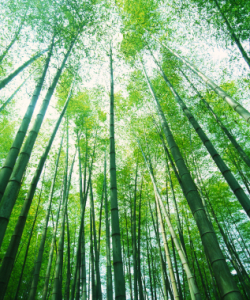 At TPS many of our products use renewable plant resources like bamboo or bagasse (sugarcane). Bamboo and Bagasse products are environmentally friendly and are 100% biodegradable and compostable.. These crops are annually renewable and sustainable, meaning they are able to grow back each year. Biodegradable & Compostable – PLA breaks down into simple carbon dioxide, water, biomass. Non-toxic – Unlike traditional petroleum-based plastics, biodegradable plastic does not produce greenhouse gases as it is formed because it is made from plant fibers. PLA does not produce any toxic material in the composting process and the resulting compost can support new plant growth. We invite you to explore all of the eco-friendly products at Total Packaging Solutions. Biodegradable and compostable products are made from organic, natural materials like corn, bamboo and bagasse (sugar cane). These products come from annually renewable resources and are sustainably manufactured, non-toxic while in use and decompose back into the soil. Biodegradable matter is all organic material and other artificial material that can be broken down by air, water, and bacteria. A biodegradable product has the ability to break down relatively quickly into raw materials of the natural environment. What is Compost and Compostable? Compost is broken down organic matter which is produced when micro-organisms and bacteria generate heat and decompose waste and organic food. Compost is a great fertilizer and will aerate the soil and give it the nutrients it needs. When something is "compostable", it means that it is made of organic matter that will break down in a compost system. PLA will compost in approximately 30-45 days. Bagasse typically biodegrades in 60-90 days. How well does Bagasse handle heat? Bagasse tableware will handle foods up to 212 degrees. It is also microwave safe. Is composting a feasible alternative to landfills? By composting biodegradable resin along with the other biodegradable waste, we can generate much needed carbon-rich soil (humus) instead of filling up our valuable land with waste. Compost amended soil can have beneficial effects by increasing water & nutrient retention in soil, reducing chemical inputs, (toxins, pesticides, etc.) and suppressing plant diseases. Many communities have large-scale centralized collection of yard waste and compostable material. Through composting the problem of waste disposal could become the solution for low-input sustainable agriculture.